These are the words that come straight to mind when I think of this book. The author, Rachel Hollis, has written out a collection of lies. Lies that she has confronted in her life. Lies that resonated, too often, with the very lies I hear myself whisper to my own heart. Even daily. Her personal life stories and how she overcame the lies is truly insightful. I was blow away by her vulnerability within it's pages. "I'll Start Tomorrow", "I'm Not Good Enough", "I Don't Know How to Be a Mom", "I'm Not a Good Mom", "I Should be Further Along by Now", "I am Defined by My Weight". These are just a few of the chapter's lies that she challenges in her book. Lies that resonated with me personally and I was relieved to find that this famous author did too. Her burning desire for us as women, as Christians, as people to stand up and face the lies that flood our minds so readily so that we can be the best versions of ourselves. The versions that we could be if we'd only trust and have the strength to truly believe the Truth about ourselves that God says and not that which the world would have us believe. We are so not alone in our struggles and in those lies. And if you think that your history would be classified as "too embarrassing" to share, she gives some pretty darn good examples that would leave me very red from sharing! Rachel writes straight and doesn't beat around the bush. Which in my opinion is how to best get it done. No Mom has time to beat around the bush these days. Not with everything else she has on her plate! And as if thats alone isn't a good enough reason to dive into her book, its broken into 20 chapters; 20 different topics and thus creating a perfect chapter a day read. My copy, I borrowed from a beautiful friend (we swap books often) and its now sitting in my amazon cart as I need to go back and mark up my own copy like crazy. SO MUCH TO HIGHLIGHT and revisit. This read will be one I reopen over and over depending on the day and what I need to reconfirm to myself in handling each circumstance. It was truly like the feeling you get after having had a good cry, then going and washing your face to begin a new. Hence the name! 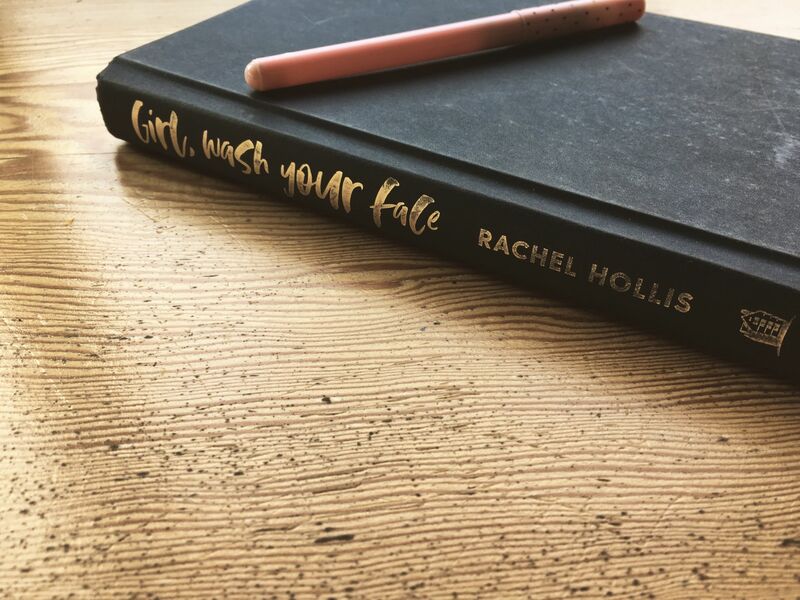 I am so grateful to Rachel Hollis for sharing her story. I am so thankful that God led me to her book.